In this wizard, unallocated spaces on data storage devices are scanned for deleted partitions. 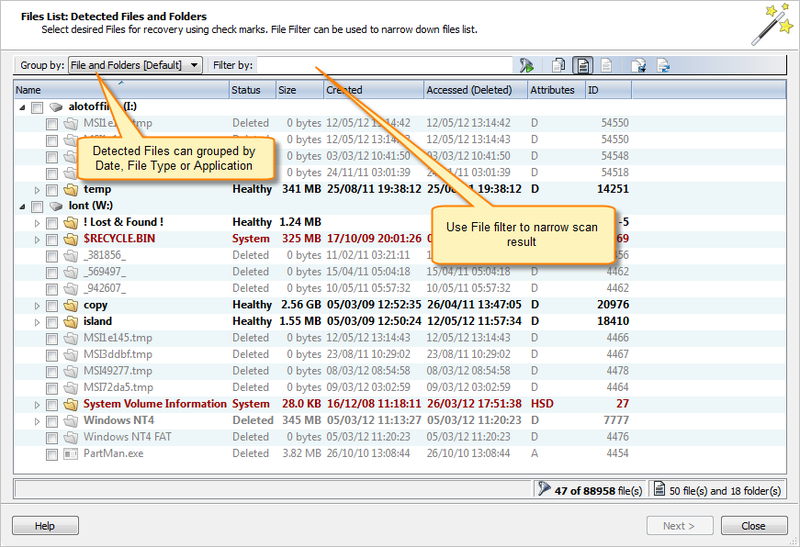 After partitions are detected, they should be scanned for files and folders. Select unallocated area by placing check marks in the data storage devices tree and click Next to continue. Review and confirm the unallocated space scan parameters and click the Scan button to start the scanning process. While the process is in progress, you can cancel it at any time by clicking Stop at the bottom of the screen. 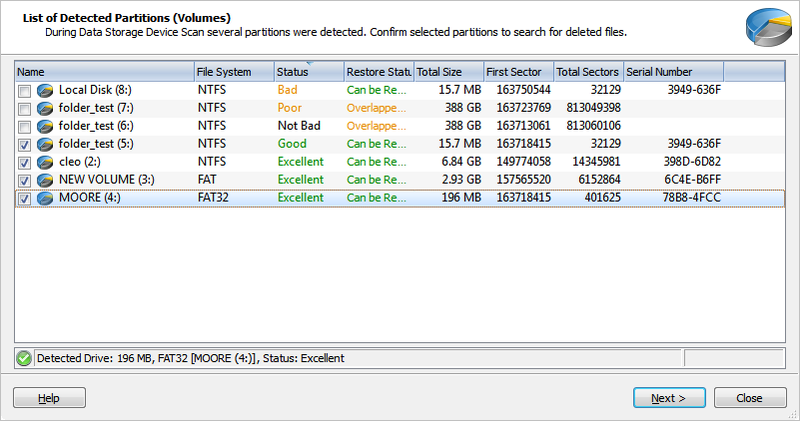 Review list of detected partitions and select at least one of them to scan for missing files. 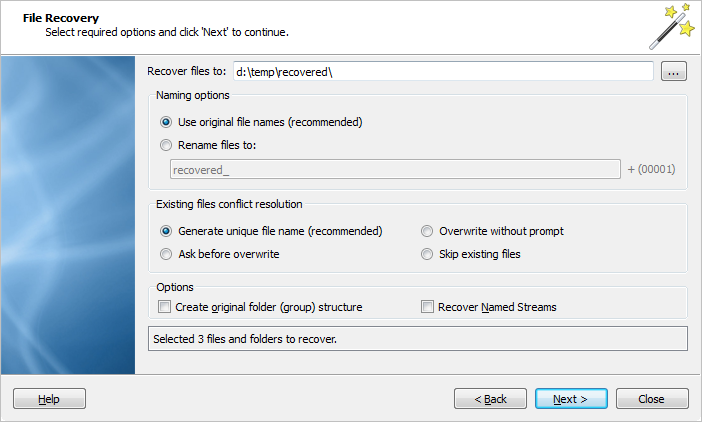 This wizard is a universal guided tool that allows the recovery of files from detected partitions or data storage devices where files are detected by file signatures.